May 31, 2008 - LOVES PARK, Ill. – Six of one, a half-dozen of the other, and well… how about another six? The Rockford RiverHawks scored six runs in each of the first three innings to take a 16-run lead and beat Southern Illinois, 18-12. Steve Pickerell homered for the second night in a row, in front of a near-sellout crowd of 3,006 on Saturday at Road Ranger Stadium. Joey Metropoulos hit two home runs for the Miners, who fell to the RiverHawks for the second night in a row. Saturday’s win was the RiverHawks’ highest-scoring game since an 18-7 win May 29, 2005 at Mid-Missouri and four short of the team record. Southern Illinois starter Tanner Roarke walked his way into trouble and didn’t survive the third inning. In the first, he walked Joe Anthonsen with the bases loaded to force in a run. Chris Raber singled in a run and Pickerell followed with a grand slam to right-center field. Matt Borman singled in two runs in the second inning and doubled home two more in the third. Roarke (0-2) walked five and gave up 15 runs – all earned – on 10 hits. Rockford starter Garrett Bauer (1-1) struck out seven – his highest total in nearly a year – over six innings. Metropoulous hit a two-run homer to center field in the third inning and a three-run shot to left in the eighth inning. The Miners scored 10 unearned runs, two in the seventh and eight in the eighth, off the Rockford bullpen. The RiverHawks have a chance to complete a three-game series sweep at 6:05 p.m. Sunday. 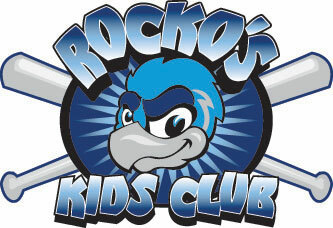 Rockford Health System sponsors RiverHawks Growth Chart Night. The first 500 kids through the gate receive a free RiverHawks growth chart featuring Joe Anthonsen and “Wee” Iain Mackinder. It’s also Kmart Family Night. Kids get to run the bases after the game.